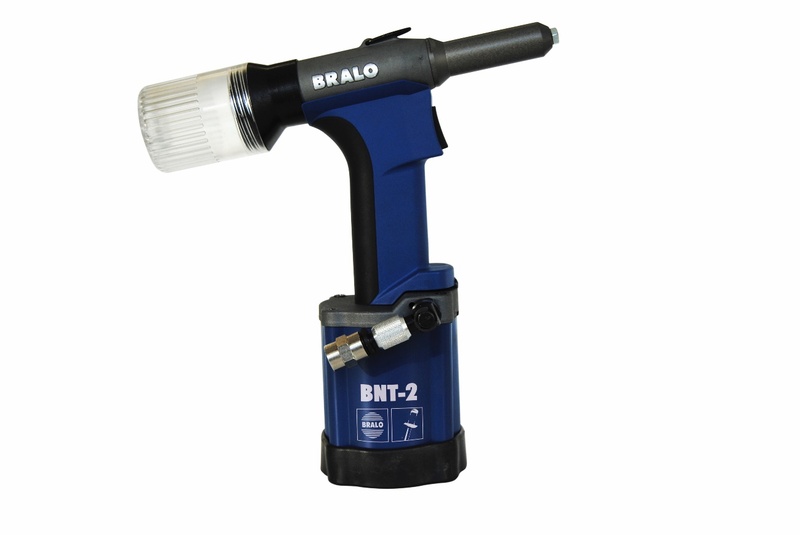 The Bralo BNT-2 is a powerful, ergonomic tool, with an efficient setting system, designed to meet the needs of the most demanding of applications. It is a riveting tool capable of setting a wide variety of blind rivets of different diameters at high speed. It is ideally used in assembly lines and in the setting of applications using large numbers of rivets. The oleopneumatic cylinders are made of high quality steel, providing the tool with a greater resistance. Pistons covered with anti-wearing material ensuring a smooth gliding.